Do not start your project without a proper budget – Budgeting is the basis of every successful project that is undertaken irrespective of its nature. 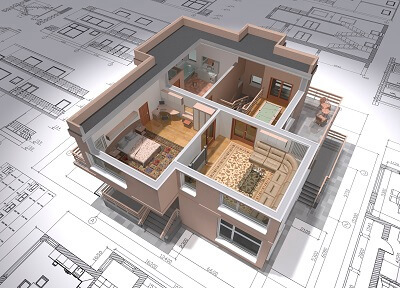 Budgeting is specifically important in home remodeling as home remodeling opens up various alternatives and it is not hard for a homeowner to get carried away with the various remodeling designs. Plan a budget and keep a contingency fund in case there is any emergency during the remodeling. Do not delay – Once you have made up your mind of getting your home renovated, it is advisable to stick to the decision. Delaying decisions will take you nowhere. They might seem little to you, but remodeling can go up to exorbitant lengths in time. So it is advisable not to delay the project once you have called the builders for an inspection. Be clear – As mentioned above, there is no dearth of options when it comes to remodeling your home. It is therefore extremely important that you stick with the plan and do not get carried away. This will not only hit your pockets, but will also confuse you. So whenever you are planning a remodeling project, make a checklist and work accordingly. Listen to the professionals – You might have an idea of what needs to be done, but professionals can guide you and suggest you better alternatives for your home. As a homeowner it is natural to get tempted and go for designs that no doubt enhance the look of your home, but they do not enhance the functionality of your home. Professionals are better aware of the space requirements and can help you do wonders with your limited space. Store additional belongings in storage units – Most people think that the basic utility of storage units is during a move. However, home renovation is a time where you can make the most of the storage facilities. By storing your additional furniture and belongings in a New York City storage unit, you clear the clutter that assists in the renovation process. Home remodeling is a huge project and it should be taken with a proper plan to ensure that you do not get stuck up in the middle of it. Keep these tips in mind for a stress free home renovation.